The construction of the Northern Peripheral Road (NPR), popularly known as the Dwarka Expressway, is likely to start next month as the highways authority has initiated the process of inviting tenders for an elevated road. Simultaneously, efforts are being made to settle litigations to clear land for the project that was initiated in 2007. 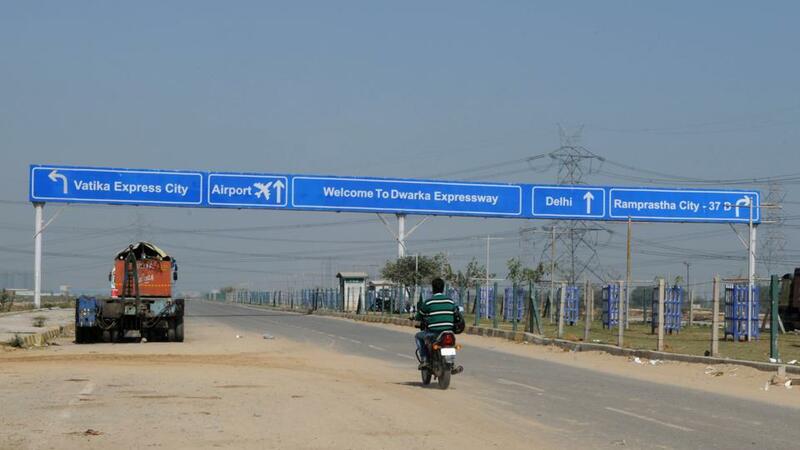 The biggest road block in completion of the Dwarka Expressway has been transfer of litigation-free land from the Haryana government to the NHAI. “A week ago, the National Highways Authority of India (NHAI) opened tender for the construction of the proposed elevated road on the Dwarka Expressway. Hopefully, construction (of the elevated road) would commence anytime in April. By that time, Huda is making efforts to vacate the stay on land falling in alignment of the expressway in New Palam Vihar,” said Rao Inderjit Singh, Union minister of state and Member of Parliament from Gurgaon. Besides opening of tender, the Haryana urban development authority (Huda) has also started the process of demolishing structures affecting the road’s alignment. While the Huda has demolished one house that was affecting the road’s alignment, it has given compensation to all 70 house owners and served notices cautioning them to vacate by Monday, March 20, or face action. The Huda has also decided to file a petition in the Supreme Court to vacate the stay granted by Punjab and Haryana high court on acquiring land from plot owners with general and special power of attorneys (GPA-SPA) for the NPR project. “We will move a petition in the Supreme Court to vacate high court stay soon to acquire land,” said Chander Shekhar Khare, administrator Huda, Gurgaon. Meanwhile, the NHAI-appointed consultants have started site inspection of the expressway. “The government at the centre and the states (Delhi and Haryana) are trying their best to resolve litigation affecting land acquisition. However, NHAI has opened its tender as sign of positive development in this regard,” said a senior NHAI official, requesting anonymity. With this, investors who bought plots and flats along the Dwarka Expressway are hopeful that the NHAI would commence construction of the proposed elevated road between Delhi-Gurgaon border and Basai railway overbridge (ROB) in April. 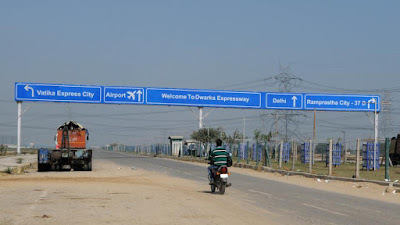 The developers of housing complexes along the proposed road have not completed projects, which are delayed by three to five years, due to inordinate delay in completion of the Dwarka Expressway. This delay has also affected the spread of basic civic amenities to such as sewer, water, roads and electricity connections, in the area. “Huda has not been able to acquire a small portion of land in New Palam Vihar since a few houses of oustees, who have purchased land on GPA/SPA are yet to be vacated. Huda went out of its way and allotted alternate plots to these oustees, but the allotment has been stayed by Punjab and Haryana high court. Fate of over one lakh legitimate homebuyers and a ₹7,500 crore project of national importance lies in the hands of the court today,” said Manish Grover, member of the Dxp Welfare Association.